When it comes to lining walls and floors with tiles, it is important to contact the professionals. Using many years of experience, our tilers will accurately fit the tiles to create a smooth and attractive surface. Alongside tiling, we also supply and fit high-quality bathroom installations, breathing new life into your property. To arrange a free quote and consultation, get in touch with our friendly team today. Contact us now, in Larkhall, Lanarkshire, to find out more about our tiles and price packages. Call 07850 012258 now for a quality tiling service delivered by professional tradesmen. While tiles are extremely practical, being easy to clean and almost stain-resistant, they are also an attractive addition to your home. At Lanarkshire Tiling & Bathrooms, in Larkhall, Lanarkshire, we deliver all manner of tiling services for domestic customers. Our tilers have more than 14 years of experience and use their expertise to complete work of the highest standard. Additionally, our family-run business also offers full bathroom installations. 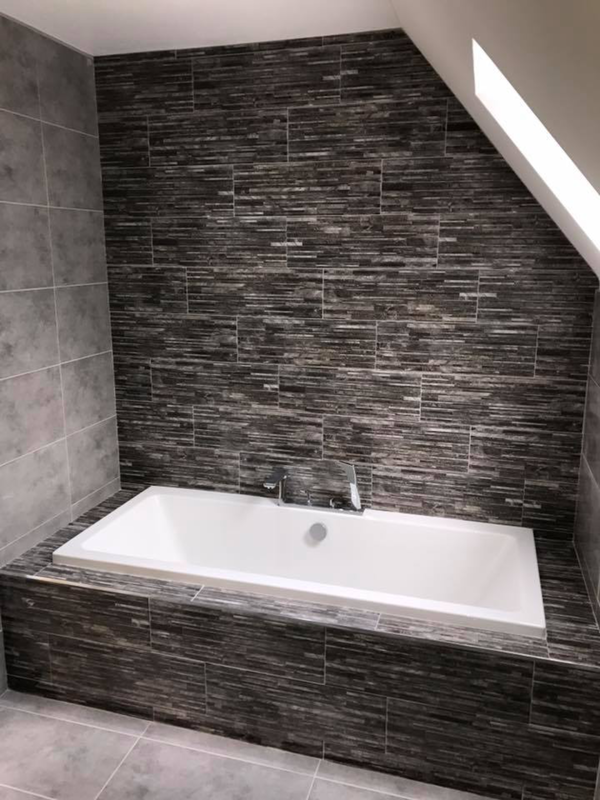 Covering the supply and fitting of the suite, as well as any extra plumbing, electrical, and plastering work, we are able to complete full bathroom installations in around two and a half days. No matter which service you choose, you will receive an outstanding quote and find that your home is left clean and tidy after the work is complete. Contact our team of tilers now, in Larkhall, Lanarkshire, for more details about our range of tiles.